Construction has commenced at KM Yacht Builders in Holland on OCD 180, an aluminium blue water cruising yacht intended for high latitude expedition and charter at both poles. 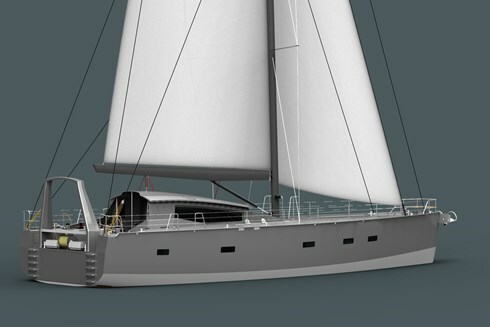 Engineered by David de Villiers design in New Zealand, the yacht will be MCA coded commercial vessel sailing under the red ensign. She incorporates many innovative features not seen on a yacht of her type.